Manly Wharf is Stop 16 – the final stop – on the Spit to Manly Walk, as seen in the downloadable Spit to Manly Complete Guide and Map. If walking from The Spit to Manly, approaching from Fairlight Beach… After passing the former Sea Life Sanctuary and art gallery at the western end of Manly’s harbourside beach (the iconic ocean beach is on the other side of the peninsula), you’re walking along the Pathway of Olympians. This walkway, ending at Manly Wharf, comprises more than eighty plaques of Manly residents who have represented Australia at the summer and winter Olympic and Paralympic Games. It is updated after every Olympics. If coming from the city, catch a ferry from Circular Quay. It’s a delightful 30 minute ferry ride across the harbour on a public ferry where your Opal card is valid. Or 20 minutes if you pay slightly more for the privately operated Manly Fast Ferry (Opal cards are not valid on this service… but you can buy beer). On the ferry (if coming to Manly from Circular Quay) sit on the starboard (right) side for views of the walking route, Middle Head and Taronga Zoo, or port (left) for views of North and South Heads and the eastern suburbs. If driving, there is an underground private carpark at Manly Wharf, operated by Secure Parking. Convenient, yes, but if you're there all day then it can be expensive too. See Getting There on the main Spit to Manly Walk page where we go into detail about all Manly parking options and costs. Welcome to Manly; ‘seven miles from Sydney and a thousand miles from care'. This catchy slogan was how the Port Jackson and Manly Steamship Company promoted Manly in the 1920s and it seems to have stuck. The area around Manly Wharf is the original home of a colony of little penguins (Eudyptula minor). Commonly called fairy penguins, they are the smallest penguin species, growing to a maximum height of 30cm and weighing 1kg. They live for up to twenty years and usually pair for life. While little penguins have an overall conservation status of “least concern”, this particular colony is endangered. It is the only mainland breeding colony in NSW and the only one in a major city in the world. Their numbers have fallen drastically in recent years to about 60 breeding pairs. Penguins are vulnerable to foxes, dogs, boat propellers and habitat pressures. Mr Stickybeak and his partner Mrs Silverwing are two of the most well-known penguins. He got his name after waddling up the wharf steps, crossing the road and standing outside a bar. They met at rehabilitation at Taronga Zoo and are the last remaining penguins living under Manly Wharf. They were relocated to a quieter place nearby but came back here. The remainder of the colony is fighting for survival in and around the former Quarantine Station at North Head. After the Spit to Manly Walk… what's next? From here you can either return to the city by ferry or spend time enjoying Manly. 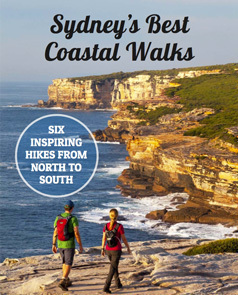 Here are our suggestions for things to do in Manly for people who love the outdoors.